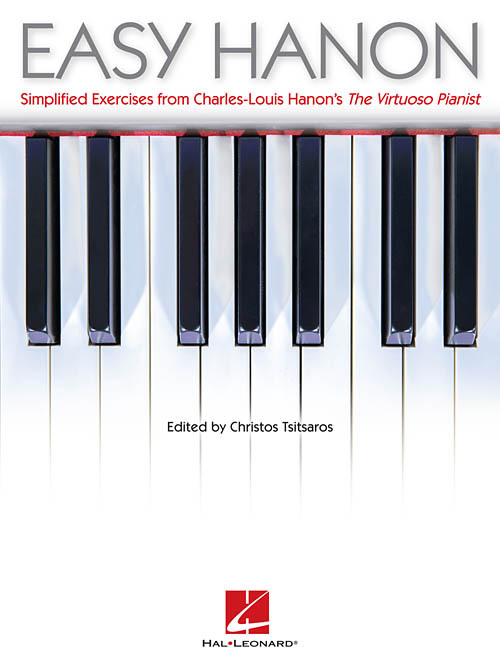 Since its first publication in 1873, Charles-Louis Hanon's Le Pianiste Virtuose (The Virtuoso Pianist) has became an undisputed classic, the staple of technical study in music schools and conservatories worldwide. Easy Hanon is a simplified version of the first part of the book (20 exercises), along with the major and minor scales, arpeggios, and additional excerpts. The exercises have been shortened and condensed to make them more accessible for the elementary to intermediate level pianist. A bonus practicing plan created by the editor includes suggested rhythmic and articulation variations to the exercises. Includes: exercises 1-20; exercises for turning the thumb under; preparatory exercises for the scale; major and minor scales; chromatic scales; arpeggios; practicing plan; and more!